Contributor Cindy H. Dubin speaks with several innovative companies on their science, techniques, and technologies aimed at improving bioavailability and solubility. Susan Rosenbaum, JD, and Irwin Hollander, PhD, present a unique and novel solution to this greatest challenge in medicine for brain disease treatment, considered the “Holy Grail of Neuroscience,” with their breakthrough innovation. Vinayak Pathak, MPharm, MBA, indicates after reviewing clinical experiments published in this area, it is evident that formulation design, altering the physico-chemical properties of the drug, addition of absorption enhancers, and mucoadhesive polymers did result in higher bioavailability of drugs in animal models via the nasal route when compared to parenteral administration of the same drug. Nathan Barksdale and Elizabeth Hickman, MBA, say there are many articles on the theory and scientific principles underpinning the benefits of ASD, and introduce the reader to the steps involved in the development and manufacturing of an ASD via the spray drying process. James Arps, PhD, and Matt Petersen, PhD, investigate how foamed silicone is capable of sustained, controlled elution of hydrophobic small molecule and large macromolecular payloads. Thomas Del’Guidice, PhD, Nancy Messier, PhD, and David Guay, PhD, present the Feldan Shuttle technology, a peptide-based delivery method that could provide efficient and safe intrabody delivery in mammalian cells. Omid Vafa, PhD, MBA, reviews unique technologies, including a transgenic rat platform expressing human heavy chain antibodies, and a state-of-the-art sequence-based discovery engine, to create novel multispecific antibodies for various therapeutic indications. Contributor Cindy H. Dubin, in this second annual report, speaks with several exciting and innovative companies whose platform technologies are transforming drug development. Dr. Mark Mitchnick, CEO of Particle Sciences and CMO of Lubrizol, discusses the rise of complex drug products, the capabilities needed to develop and manufacture these products, and the company’s expansion in this area. 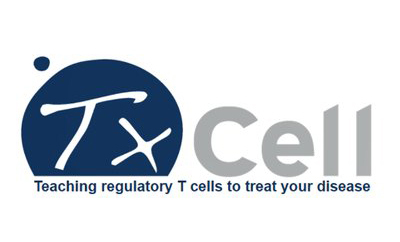 TxCell SA and Lonza Pharma & Biotech recently announced entering into a Master Service Agreement for the manufacture of TxCell’s HLA-A2 CAR-Treg cellular product (TX200), which is in development for the prevention of chronic rejection after organ transplantation.